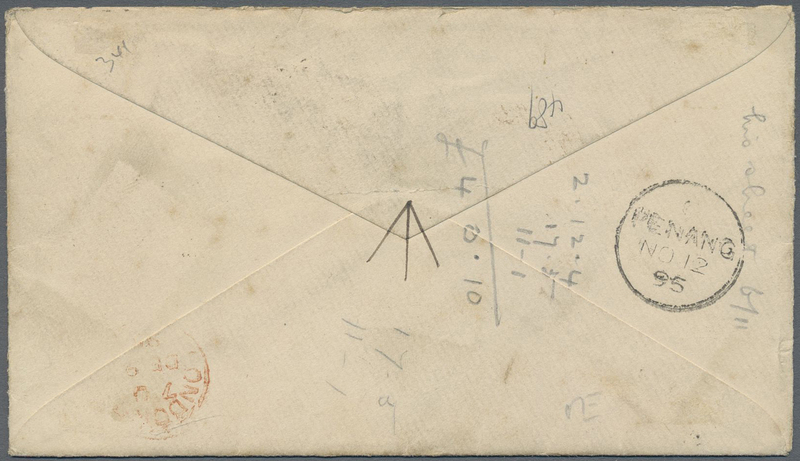 1895: Circled "NEBONG TABAL" Crown h/s (Proud K2) as obliterator on cover to London, franked by Straits Settlements 1883 5c. blue and 1894 3c. on 32c. rose-carmne, with "NIBONG TEBAL/A/NO 12/95" cds (Proud D2) alongside, Penang transit cds on the reverse. The 5c. 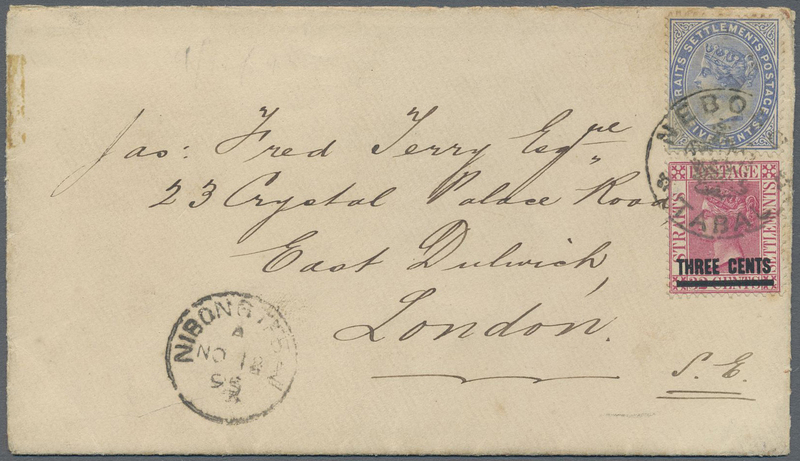 with few toned perfs at top otherwise a fine and attractive cover with superb strikes of the scarce Nebong Tebal postmarks.